In very good even parade ground condition, a British ERII Rifle Regiment Officer's Sword and scabbard, marked to Wilkinson Sword. Please be aware, there is no serial number on the spine of the blade of this sword, which means that it either was not actually made by Wilkinson Sword, or that it was never sold by them (that is, perhaps it was a Wilkinson stock sword). Being an ERII sword of very high quality, the same quality as we expect from a Wilkinson Sword (rather than a German or worse, Indian sub-continent made sword, which are nowhere near as good as British / Wilkinson made swords), we are certain that it is English made and truly can not believe it was made by anyone other than Wilkinson's due to the high quality. The 32 inch blade is well etched, including ERII cypher and rifle regiment emblem. There are a few, not many, small specks to the blade, mostly away from the etching. The blade is firm in the hilt. 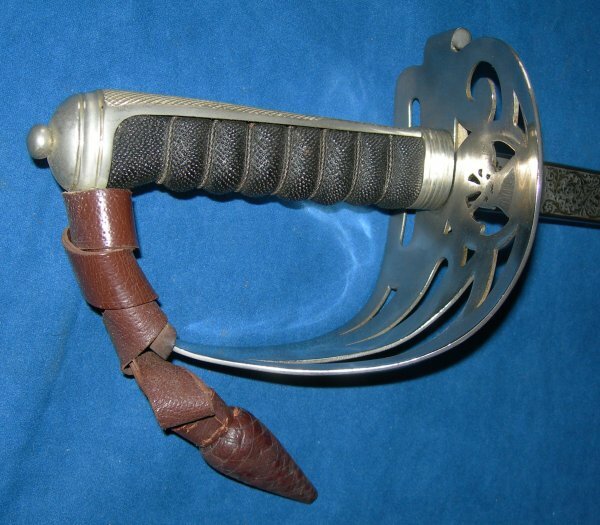 The steel hilt is in very good condition, as are the faux fishskin grip and associated twisted grip wire bindings. 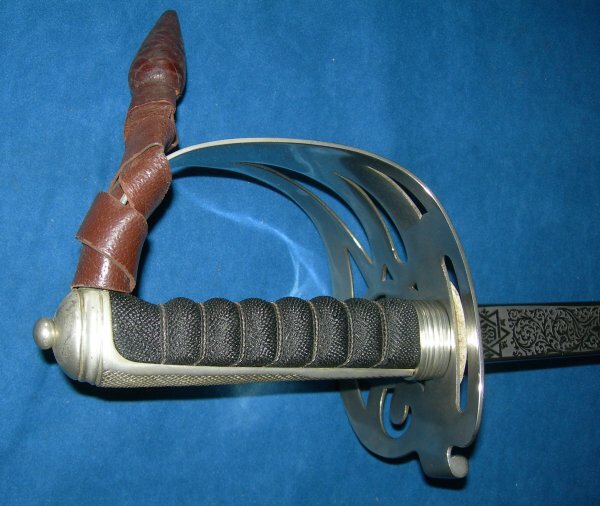 The steel scabbard is also very good, and the sword sheathes and draws particularly well (it is so smooth and yet firm the quality stands out). 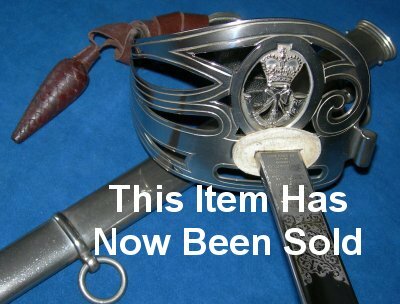 If this sword had a serial number, we would offer it at £750. However, as it does not have a serial number, it can be yours for just £(price removed). Please quote item reference H30. Further / full sized images available upon request.